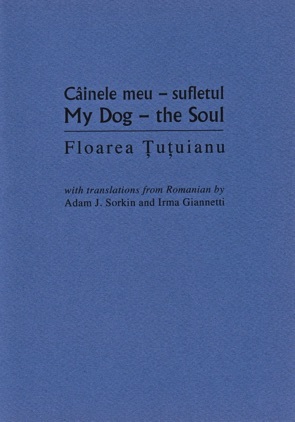 The Romanian poet Floarea Țuțuianu [her surname is pronounced “Tsu-tsu-ya'-nu”] graduated from the Nicolae Grigorescu Institute of the Fine Arts in Bucharest and began publishing poetry only after the 1989 overthrow of the communist government. She has produced five books of poetry: The Fish Woman (Femeia pește, 1996); Libresse oblige (1998); The Lion Mark (Leul Marcu, 2000); a selected volume with new poems, The Art of Seduction (Arta seducției, 2002); and Your Magnificence (Mărinimia Ta, 2010). Țuțuianu works as a graphic designer at the Romanian Cultural Institute Publishing House in Bucharest, where she lives. 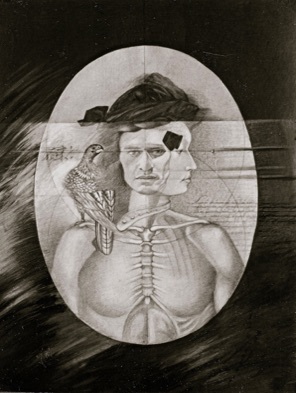 Her artwork (the title-page contains an example from one of her drawings) has been exhibited in Germany, Italy, England, Poland, the United States, and Israel, as well as in Romania. Adam J. Sorkin has translated more than forty books of contemporary Romanian literature, and his work has won the Poetry Society translation prize. Sorkin’s recent books include two collections from the University of Plymouth Press, Ioan Es. Pop’s No Way Out of Hadesburg (2010) and Mircea Ivănescu’s lines poems poetry (2009), both translated with Lidia Vianu, and he is the main translator of Carmen Firan’s Rock and Dew (Sheep Meadow Press, 2010), in collaboration with Firan. Forthcoming are A Path to the Sea by Liliana Ursu, translated by Ursu, Sorkin, and Tess Gallagher (Pleasure Boat Studios), and Ioan Flora’s Medea and Her War Machines, translated with Alina Cârâc (University of New Orleans Press). He is Distinguished Professor of English, Penn State Brandywine. an undergraduate student in Romania, then English and Comparative literature as a graduate student in the United States, where she now lives. While working in information technology support, and currently as an academic adviser, she collaborated with Sorkin as co-translator of contemporary Romanian poets.